CUSABIO offers 60, 000+ antibodies that are specific to a variety of species and can be used in multiple applications. Furthermore, the number of CUSABIO antibodies is continuing to grow at a rate of 1000 per year. As an original manufacturer, CUSABIO designs, produces and validates every antibody in-house. Besides advanced experimental apparatus, CUSABIO antibody line also has a professional technical team, so CUSABIO has succeeded in setting up many technology platforms. At present CUSABIO antibodies could be applied in ELISA, WB, IHC/ICC, IF, IP/Co-IP, ChIP and FC. No matter if you have ordered CUSABIO antibodies or not, our professional technical support team will answer your any pre- and post-sales questions within 24 hours. Please choose CUSABIO antibodies that won't let you down! Why should you choose CUSABIO antibodies? CUSABIO guarantees its antibodies to work in the applications as well as react with the species listed in our website or product data sheets for a period of 12 months from the manufacturing date. We stand behind all our products and are confident that they will perform as designed. If one of our antibodies does not perform as described on the data sheets, our technical team will work with you to troubleshoot the issue. If this troubleshooting process could not solve your problem, we will be happy to replace it or issue a refund for the antibody purchase price. Antigens for successful antibody generation must be immunogenic, non-toxic for the animals, as well as have high purity. CUSABIO has an experienced technical team focusing on using bio-informatics methods to make epitope prediction to select the most antigenic and also least cross-reactive immunogen area. 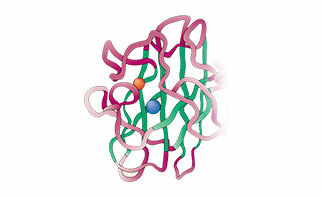 Most of CUSABIO antigens are recombinant proteins or native proteins, only very a few of them are peptides. 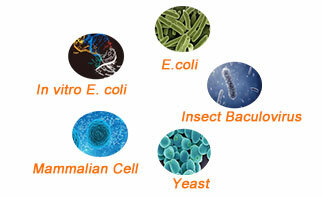 As we know, CUSABIO has been specialized in developing & producing recombinant proteins for more than 11 years, now CUSABIO has five expression systems of E. Coli, Yeast, Bacoluvirus, Mammalian Cell and In Vitro E. Coli to prepare different kinds of antigens, so CUSABIO can be able to prepare the right antigens to generate successful antibodies very well. CUSABIO can not only guarantee the accuracy of antigen sequences, but also have strict quality control procedures. Thus CUSABIO antigens are soluble as well as have the purity higher than 90% after secondary purification. After multiple rounds of immunization, ELISA is employed to test titer of anti-serum. Basically, we can guarantee the titer of CUSABIO polyclonal antibodies higher than 1:640,000. The anti-serum will be purified by Protein G/A, we can guarantee the purity of CUSABIO antibodies higher than 90% via SDS-PAGE detection. After more than a decade of efforts, CUSABIO has tens of thousands of quality antibodies at present, including 60,000+ polyclonal antibodies, 700+ monoclonal antibodies, 360+ antibody pairs, and 150+ recombinant rabbit monoclonal antibodies. Furthermore, the number of CUSABIO antibodies is continuing to grow at a rate of 1000 per year, to meet customers' various demands. CUSABIO antibodies have multiple options on immunogens, including recombinant proteins, native proteins and peptides. Most CUSABIO immunogens are recombinant proteins, as we know, CUSABIO has been specialized in developing & producing recombinant proteins for more than 11 years, now CUSABIO has five expression systems of E. Coli, Yeast, Bacoluvirus, Mammalian Cell and In Vitro E. Coli to prepare different kinds of immunogens, so CUSABIO can be able to prepare the right immunogens to generate successful antibodies very well. Most of CUSABIO antibodies are generated with full length recombinant proteins. 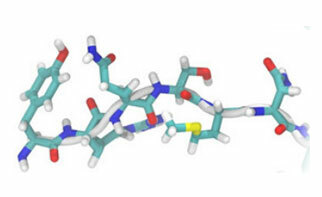 As we know, the peptide only has linear epitope, but the recombinant protein has both linear and conformational epitopes, thus CUSABIO antibodies can be generated against multiple epitopes from the throughout sequence. As a result, CUSABIO antibodies could against at least one of these epitopes, so CUSABIO antibodies are more likely to identify the endogenous samples. 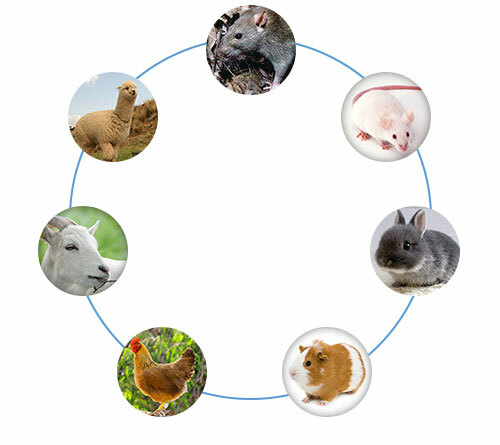 CUSABIO could generate antibodies from multiple host species, including rabbit, mouse, rat, guinea pig, chicken, goat and alpaca. 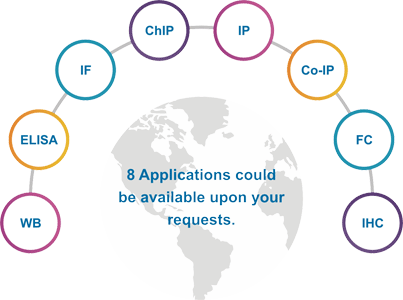 After a decades of efforts, CUSABIO has managed to set up 8 platforms for antibody applications, including ELISA, WB (western blot), IP (immunoprecipitation), IF (immunofluorescence), IHC (immunohistochemistry), FC (flow cytometry), ChIP (charomatin immunoprecipitation), Co-IP (Co-Immunoprecipitation). 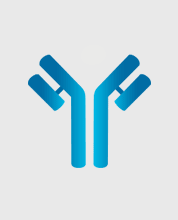 So CUSABIO antibodies have been validated in multiple applications, and we can guarantee the validation results in our website or data sheets. As a original manufacturer, CUSABIO generates and validates all antibodies in-house, so we can promise the constant supply, prompt delivery as well as quality guarantee for all antibodies we have. All the validated images of CUSABIO antibodies have reached the standard level of publication. And we can also validate in other applications that we have upon customers' requests. 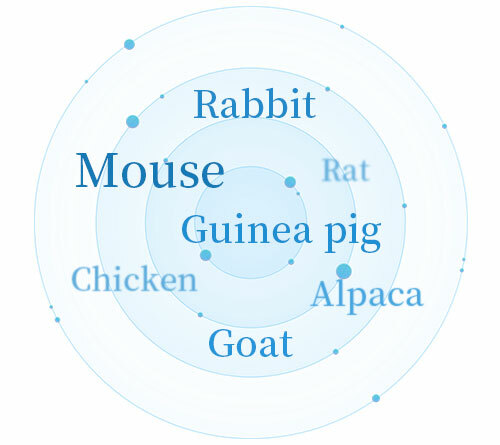 CUSABIO can construct antibody libraries as well as screen desired monoclonal antibodies with high specificity and affinity from a wide range of species, such as human, alpaca, mouse, rabbit, chicken, dog, bovine, and so on. Compared with the traditional hybridoma method, CUSABIO recombinant antibodies from phage display antibody library have higher purity and affinity, as well as minimal deviation between batches. CUSABIO has more than 60,000 catalog antibodies in total, most of these antibodies have large amounts of inventory. Besides the catalog antibodies, CUSABIO also has been specialized in the production of custom antibodies for many years to meet customers' various demands. If you can not find the exact antibodies you are looking for, please kindly let me know which targets you are interested in, because we are confident that we can offer the quality custom antibodies that you are desiring. We have special prices for bulk & custom orders, please feel free to fill in the following quote or contact us directly. You can also contact us via antibody3@cusabio.com directly or online message. Which antibody are you interested in?